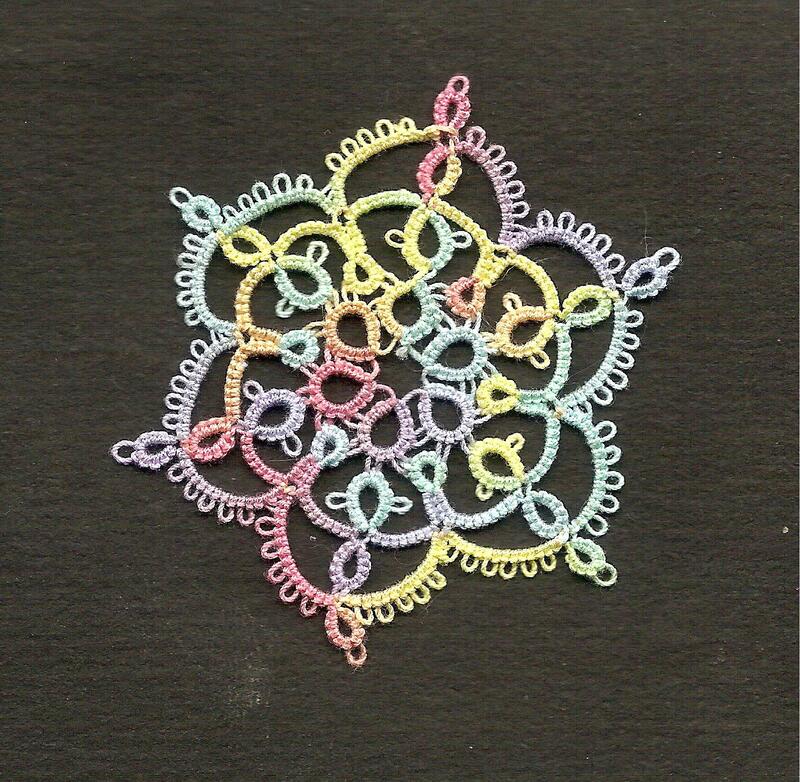 I have been making squares with Tatskool's threads. This is Sharon's rose square, that I have admired for a long time. 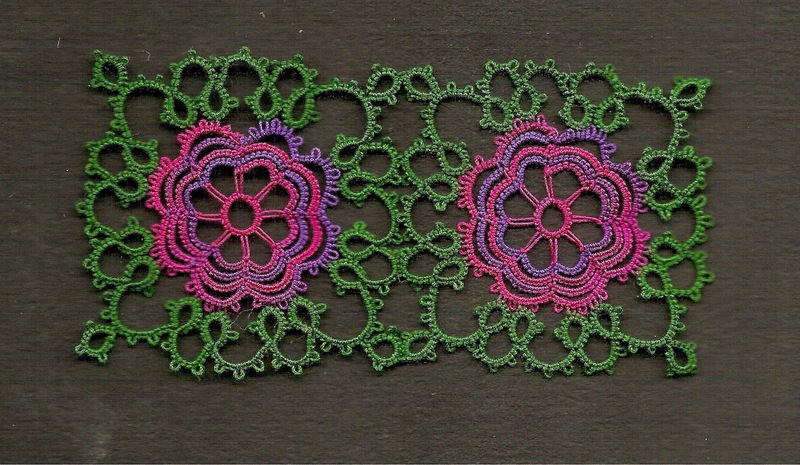 I have to decide now whether this will be a bookmark or a larger square. I am thinking probably a larger square. The scan doesn't do any justice to the colours which glow in real light. Berry burst, for the centre and nightmare thread from Venus, which makes "bigoudis" every time you try to close a ring, but happens to be the right shade of green. 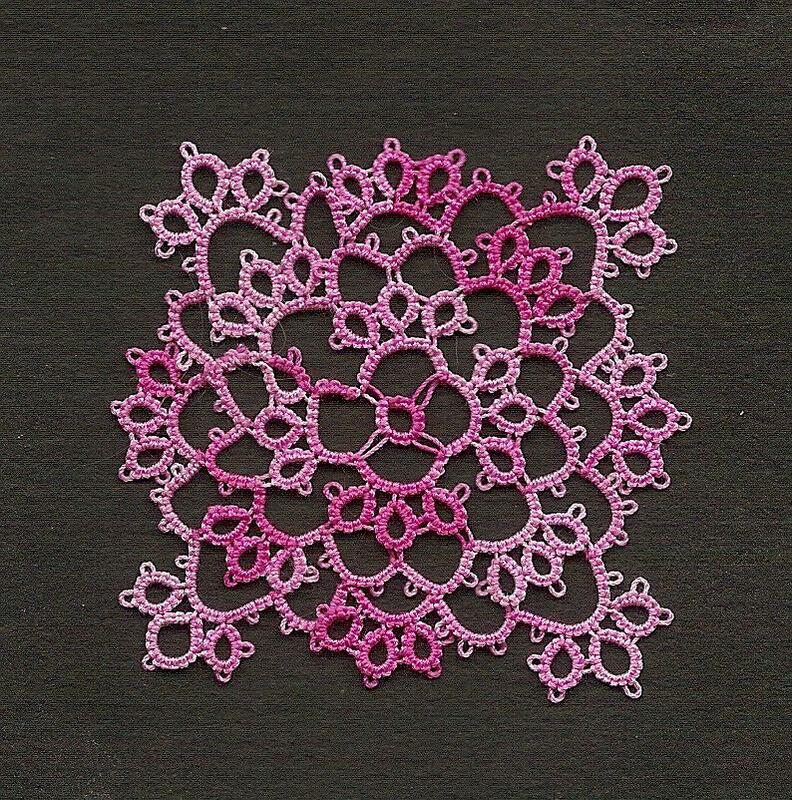 This one is three ring square, also from Sharon's Marvellous Motifs, done in Raspberry sorbet. The split rings are a bit naff, but I am assuming that I will improve with practise. I think this will look a lot more exciting when it is made up with repeats. I am showing a snowflake from last time, this time with the ends sewn in. 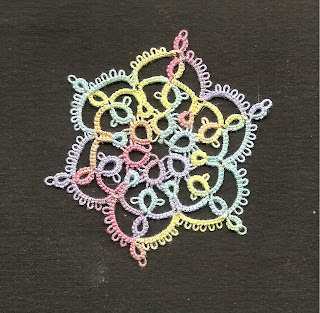 This is Rainbow Light thread and I can't find Jon's book to give you the name of the pattern, sorry! 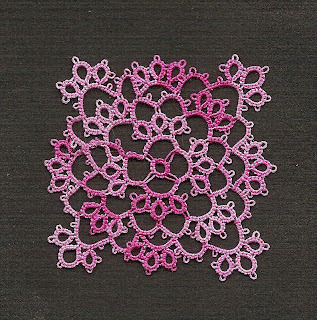 I am always fascinated by the square motifs, and yours are beautiful! I love the colors you've used! They are all three lovely bur I especially like the snowflake from Jon. Maybe it's time for me to get that book! Diane, thank you, and BTW I have sent off for some Oliver Twist threads, inspired by your Stumpies! 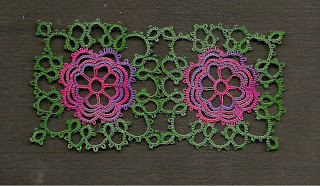 Michelle, Jon has some wonderful patterns, I do recommend the book. Fox, three ring square is no.1 and square rose no.9...so no excuses! Actually, I have a new book, perhaps I will post about it tomorrow!